Cover Over Sunglasses are a consistent seller. These sell for a fraction of the price compared to what they cost in the drug stores, and pharmacies. Take advantage of buying our wholesale cover over sunglasses and maximize profit while still selling for less than the chain stores. Cover Over Sunglasses There are 11 products. Back in Stock! This is a medium sized Barricade Polarized Cover Over. Perfect for your customers that have medium sized heads and simply want to keep their prescription glasses on underneath while covering it with a polarized lens to block the glare from the sun. A must have for your selection of styles! Back in Stock! These Barricade Cover Overs is one of the smaller frames we carry. Offering some much needed sun protection for those with prescription glasses. The oval frame shape is more discrete than other cover overs but still offer the same function. These are Polarized Cover Overs as well as a flip up Visor! A one of a kind style, easily able to flip up the lens so you don't need to ever take them off. Back in stock! BARRICADE COVER OVERS. 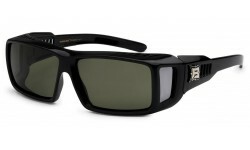 These are Polarized and made of durable quality materials. The large frame easily fits over prescription glasses for a quick and stylish update. 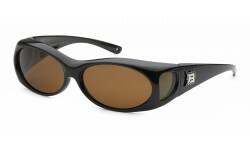 Perfect for glasses wearers, these fit over shades are made polarized lenses. 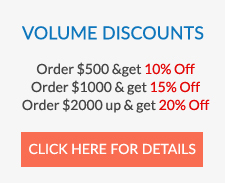 Your customers will love the style and quality of this brand!